Malacañang just announced that classes on all levels, both public and private schools, in Metro Manila remains suspended due to the two-day transport strike of jeepney drivers. The suspension of classes is to reduce the inconvenience caused the nationwide strike. 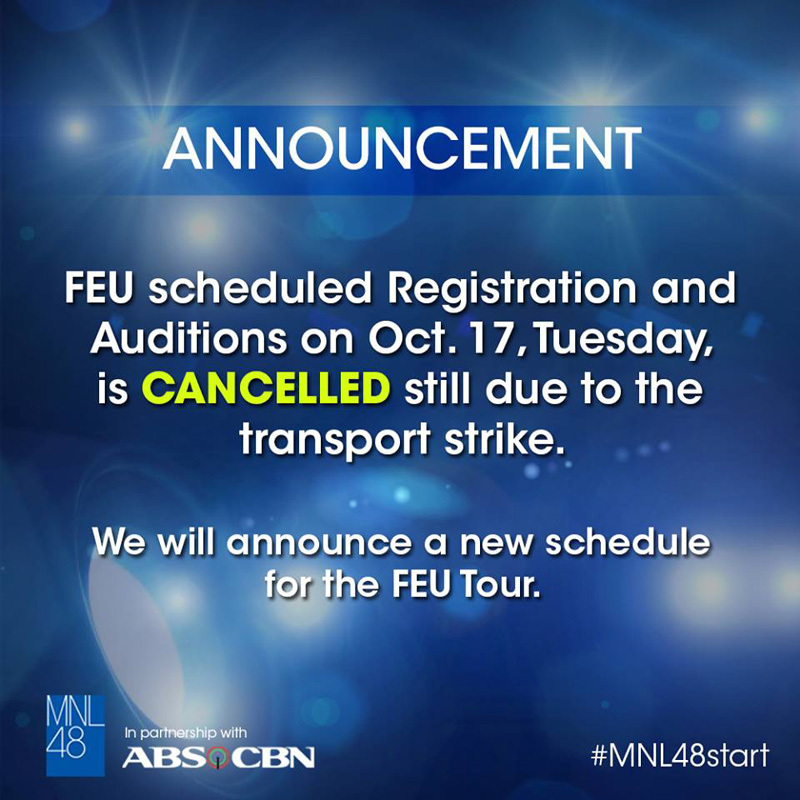 This follows the cancellation of the scheduled registration and audition of the MNL48 tour, October 16 and 17, at Far Eastern University (FEU). Hallohallo Entertainment Inc. will be release new dates for the FEU tour soon. However, aspiring idols can catch MNL48’s third stop at Starmall Alabang on October 20 and 21. 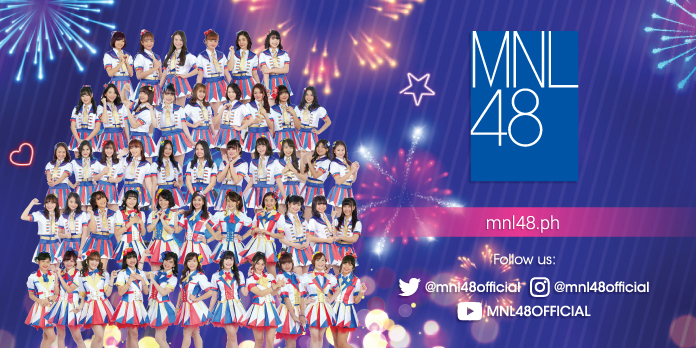 Get the latest updates on the schedule tour, visit mnl48.ph and Follow the @mnl48official on Facebook, Twitter, and Instagram.